Madhavi knows first-hand how knowledge of the law and its practical application can impact people. The attorney who helped her family immigrate to the United States ultimately inspired her to go to law school, since it was his advocacy that shaped her future. 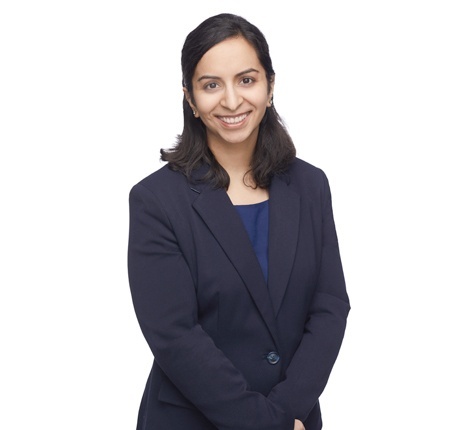 As a member of the firm’s Class Action Practice Group, Madhavi represents clients facing federal and state claims. She defends clients facing a wide range of issues, including the Telephone Consumer Protection Act (TCPA), false advertising, release of personal data, mass tort, and fiduciary duty. Madhavi is invested in her clients, recognizing that each one faces their own unique challenges. She thinks not only about their current needs, but anticipates future needs and prepares to address them. Outside the office, Madhavi enjoys mentoring new professionals. She participates and volunteers at events through the Emory Alumni Association and the Notre Dame Club of Chicago. Madhavi also speaks conversational French and Hindi.